Revision is easier than ever with WhiteSmoke online writing software. The best writers revise. And they revise again. Then they revise yet again. So, given that professional writers revise, it would be wise for beginning and intermediate writers to revise, too. One Professor, when asked how students could improve their writing, said these three words: "Revise, revise, revise." It's such a common mantra for writers and artists, that a recent online search came up with over 16,000 hits for the phrase! Revision means, literally, to see again. There are several stages to revision. 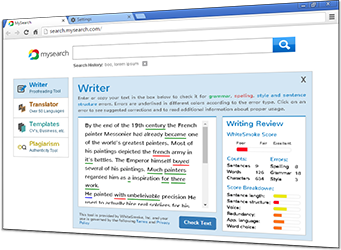 WhiteSmoke English writing software will help you revise at every stage. WhiteSmoke can help assure that your English communicates clearly. Use its thesaurus software and online dictionary to help you find just the right word. Its grammar and spell check will prevent errors. Its writing enhancement feature will give your writing new life. Revision gives new life to your writing. The first stage involves going through the draft and reorganizing main ideas and supporting ideas so that they are grouped in a way that is understandable to your reader. Your organization will usually first put forward stronger points (in an argument), earlier information (for a narrative), or background (in many cases). However you organize, your readers need to understand what you are trying to communicate. Use WhiteSmoke English grammar software to be sure they do! Even the most experienced writers make inadvertent errors while revising--removing a word or adding a phrase that changes the grammar, for instance. WhiteSmoke English grammar software will correct your errors as you revise. The final stage or revision is copy editing, or proof reading. If you've been using WhiteSmoke English grammar writing software all along, then you won't need to do much of this. WhiteSmoke's all-in-one solution works like an editor who's online for you all the time. 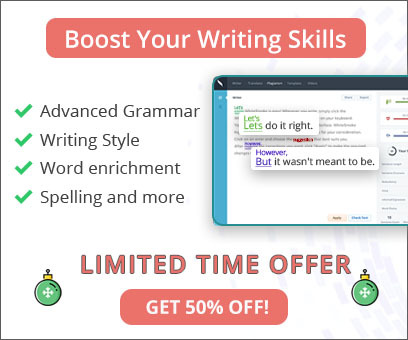 Its powerful dictionary and thesaurus will improve your writing as you revise. Its grammar check and spell check will correct errors. Its writing enhancement feature will give new life to your old draft. WhiteSmoke will help you revise as you write!